American rabbi; born at Markstift, Bavaria, 1846. 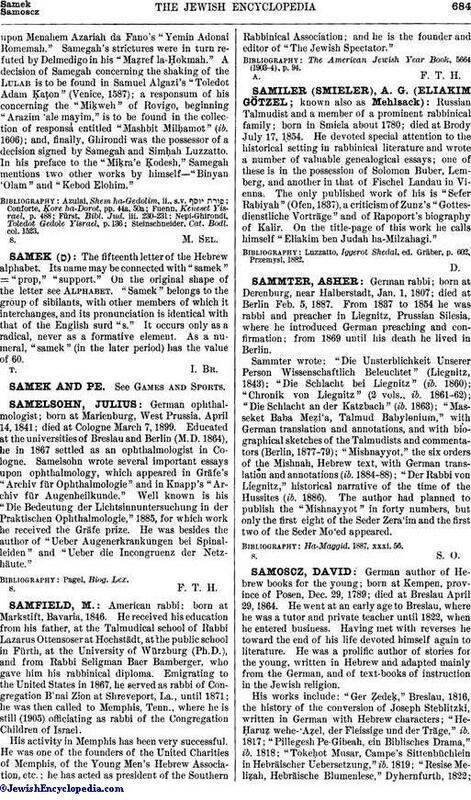 He received his education from his father, at the Talmudical school of Rabbi Lazarus Ottensoser at Hochstädt, at the public school in Fürth, at the University of Würzburg (Ph.D.), and from Rabbi Seligman Baer Bamberger, who gave him his rabbinical diploma. Emigrating to the United States in 1867, he served as rabbi of Congregation B'nai Zion at Shreveport, La., until 1871; he was then called to Memphis, Tenn., where he is still (1905) officiating as rabbi of the Congregation Children of Israel. His activity in Memphis has been very successful. He was one of the founders of the United Charities of Memphis, of the Young Men's Hebrew Association, etc. ; he has acted as president of the Southern Rabbinical Association; and he is the founder and editor of "The Jewish Spectator." The American Jewish Year Book, 5664 (1903-4), p. 94.